Fallout 76 is the new entry in the Fallout saga, a franchise that now belongs to Bethesda but was originally created by Black Isle and Interplay. In this case, we're talking about an online experience set in the Fallout universe, but several decades before the other games. If you have always dreamed of playing a Fallout game with your friends, then this could be what you've been waiting for so long; if you are one of those that loves reading terminals and notes, and have the NEED to discover new lore involving the saga, then this game has some stuff patiently waiting for you; and if you just like shooting stuff while ignoring other people, then maybe you'll like Fallout 76 too! On the other hand, fans of the immersive and plot-heavy Fallout games like New Vegas or Fallout 3 will have a hard time getting into Fallout 76, which is more like a continuation to Fallout 4 in a lot of ways, but plays nothing like the older titles. Whatever your situation is, let us now share our experience with the most controversial game of the year. Welcome to Appalachia, West Virginia, circa 2102! 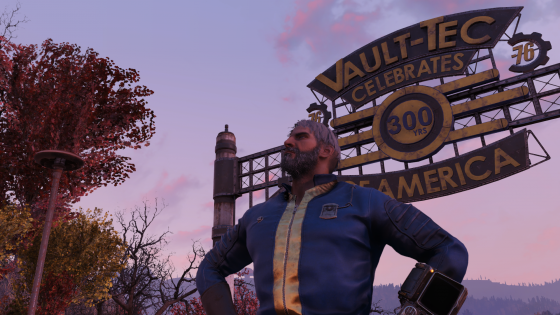 Roasting Fallout 76 seems to be the trend nowadays, and there are a lot of reasons for that… as many as people criticizing the game with little to zero hours played. For example, a lot of people has problems installing or updating the game, some have a "NoRegionPing" error that doesn't let you play unless you use a VPN service, the Bethesda.net launcher sometimes can delete your game folder or tell you there's no .exe file... and as you can see, we're not even talking about the game itself. 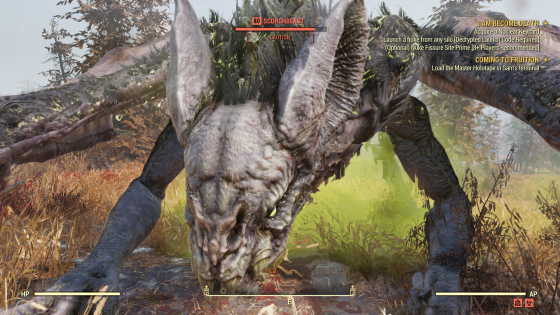 However, this review is about playing Fallout 76, so even if we can't ignore the bugs and glitches (and we hope they fix them soon! 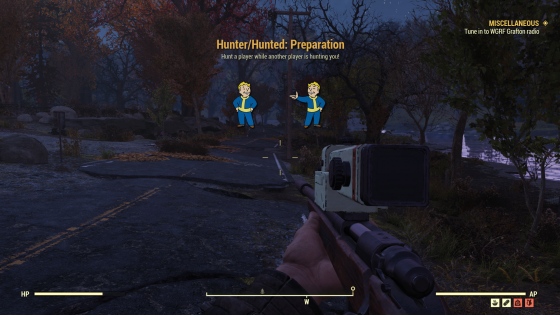 ), we feel like talking about our experience, after more than 100 hours walking through Appalachia, listening to dozens of holotapes and killing all kind of mutated monsters. 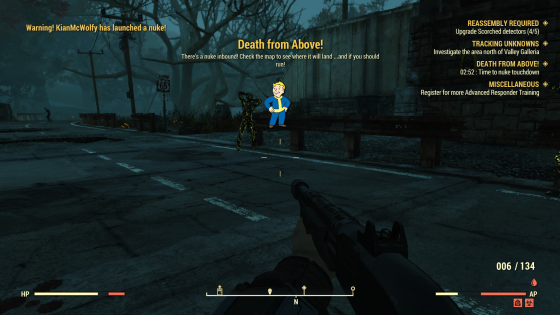 Fallout 76 plays like a softcore survival experience: while other Fallout games let you spam quicksaves, there's no such feature in Fallout 76; being an online game, there's no pause either, so browsing your Pip-Boy or checking the map at an inconvenient moment could be your worst choice. On top of that, managing your avatar's hunger and thirst may be complicated at times, and let's not forget that weapons and armor can break! 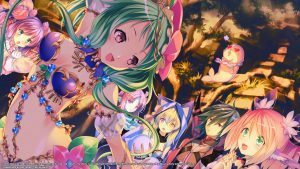 In terms of plot, the story (and secondary quests, daily quests, etc.) is based on 3 core components: holotapes, notes and terminals, and artificial intelligence NPC, because there's a reason for humans being absent. 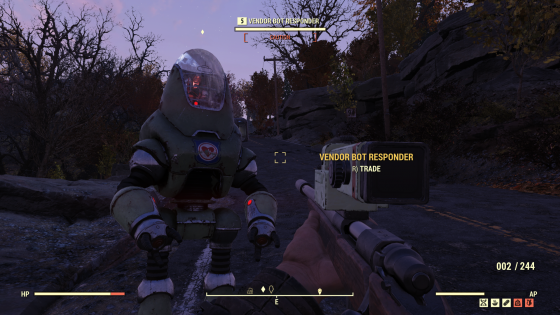 Even if the story itself explains it, the lack of human NPC to interact seems reason enough to distinguish Fallout 76 from the other games, making the whole experience somewhat shallow and empty. You see, even if this is an online game there's no real need to play with other people, and interaction with other players is reduced to emotes and the odd possibility that other players are willing to use the proximity voice chat. 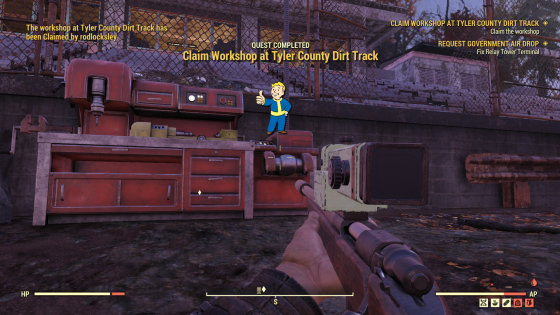 This game re-uses a lot of Fallout 4 assets and mechanics, so it's safe to assume those who liked the Boston-set game will also like exploring West Virginia and all it has to share. The bad thing is that having old assets means there's almost no visual upgrade from a 2015 game, and we know how far graphics went in the last 3 years. Monsters, buildings, weapons, armors, furniture... it all looks like Fallout 4, although there are some new models here and there. If you can run the game on ultra settings, then some Appalachian landscapes have the potential to blow your mind. Thank goodness the Fallout saga was never about stunning graphics! We only wish Fallout 76 was better optimized. Like we just said, Fallout 76 re-uses a lot of Fallout 4 assets, and that includes sound effects too. To be fair, it does the job pretty well considering we're accustomed to most of them, and there's no real reason to innovate about it. Just like in other Fallout games, listening to the Pip-Boy radio is a trip to the past, where you can find popular songs like The Beach Boy's hit "Wouldn't It Be Nice?" and other more obscure ones. Tune in for more “Country Roads”! What we definitely must praise is the voice acting, one of the elements that keep it all together in Fallout 76. 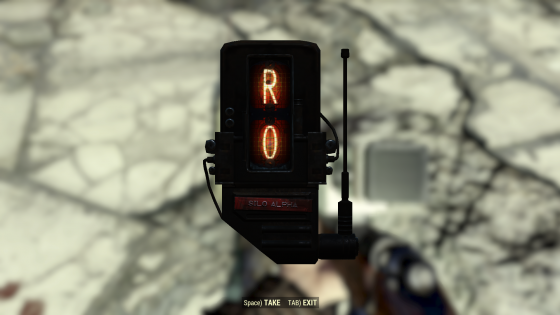 Yes, compared to companions like Fawkes or Nick Valentine, or even antagonists like Benny, it's harder to feel emotionally attached to a robot or a person you only met via holotapes, and that's why characters like Rose (the robot leader of The Raiders) or the Overseer shine so bright here. You'll feel pretty meh about others though, and maybe you're one of those that just skips all non-important dialogues, but if you pay close attention to the voice acting in Fallout 76, you could get more than a pleasant surprise! As a Vault 76 dweller, you emerge to the surface on Reclamation Day, October 23, 2102. This is exactly 25 years after the Great War, and 5 years late if we consider the original plans. Unlike many other vaults, this is a control one, so there were no cruel experiments being held here. As we're alone in the vault, apart from a few robots and other vault residents (other new players, mind you), our mission is to find the Overseer and track her notes, while exploring the area and surviving the new world. Sooner than later, especially if you follow the main quest, you'll notice everyone's dead and you can’t trust nobody. The Enclave, The Brotherhood of Steel, The Raiders, The Responders, The Free States... a lot of factions were (still are?) involved in what happened to Appalachia, investigating the Scorched plague that now is coming for you. 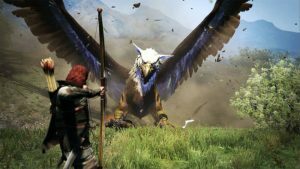 Notes, voice messages, and environmental storytelling are there, but some may feel lost or unsatisfied with this new way of handing you the plot. 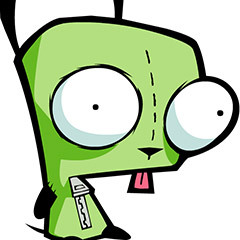 We must say that some quests are awesome and others are pretty lackluster, so it all depends on what you're looking for. 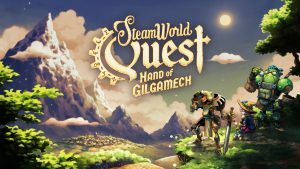 The main quest will take you around 40 hours to complete at a normal pace, with secondary quests adding a lot more. Then again, Fallout 76 is like the online cousin of Fallout 4, but in terms of gameplay, there are a few new mechanics you need to understand first. While the classic S.P.E.C.I.A.L. (Strength, Perception, Endurance, Charisma, Intelligence, Agility, and Luck) system is still there, now you can have up to 15 points in a specific category, with all of them starting at 1. Another new mechanic is the mutations system, where you get new buffs and debuffs the more radiation you take. Every time you level up, you'll have to distribute a stat point (you can't add stat points past level 50) but also pick a Perk Card that will grant you a new ability or improve an existing one, and how many active cards you have is determined by both the rank and the category of that card, in relation to how high that stat is. 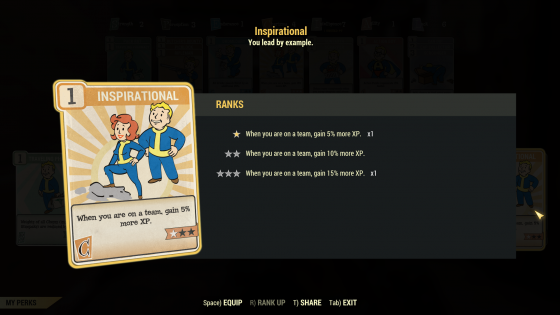 For example, if you only have 2 points of Charisma you won't be able to equip a rank 3 Perk Card; by the same rules, if you have 6 Charisma points you can equip 2 cards of rank 3, or whatever combination that equals 6 or less. At levels 2, 4, 6, 8, 10, and then every 5 levels until level 50, you must open a pack of 4 extra cards, one of them with a little animation. Even if your build is based on how you distribute your S.P.E.C.I.A.L. points and what cards you pick, you can swap cards whenever you like to add some versatility, and if you keep leveling you can literally have them all! The crafting system is still there, and so is the building one… with a small twist. Now you can have a moving camp with you thanks to the C.A.M.P (Construction and Assembly Mobile Platform), at the cost of reduced space and a budget limitation, not in terms of materials spent but on the quantity and quality of what you build. Other places where you can build are the contestable workshops scattered around the map, which offer harvestable resources, a bigger terrain, and some useful rewards for clearing them of enemies. Obviously, if we say "contestable" is because other players may have put their eyes on the same workshop you're trying to claim, starting a little PvP action. 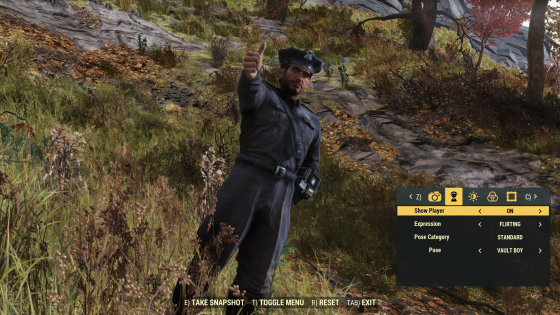 Speaking of PvP, and being Fallout 76 an online game, some people were concerned about how far could griefers go. For better or worse, the PvP (starting at level 5) is almost non-existent thanks to a series of mechanics the game has to protect those who don't like to be bothered by other players. If you want to trigger the PvP system you first need to attack a player, dealing a laughable amount of damage, and only if they strike back you can actually kill them. In the meantime, the attacked player can block the attacker and/or change servers. As for the softcore survival mechanics, a limited stash and the constant need to check your thirst and hunger is enough to make it difficult for those new to the genre, but it's really easy once you get the hang of it! You can grow crops in your C.A.M.P. and even grant yourself a constant flow of purified water, and even if you have a ton of stuff with you, the worst that can happen is the impossibility to run or fast travel, being forced to slowly walk wherever you want to go. As we said, other players are rarely something to fear, because most of them will just ignore you as long as they don't feel threatened. If someone kills you or destroy your property, they will become wanted and anyone can kill them to earn a bounty! 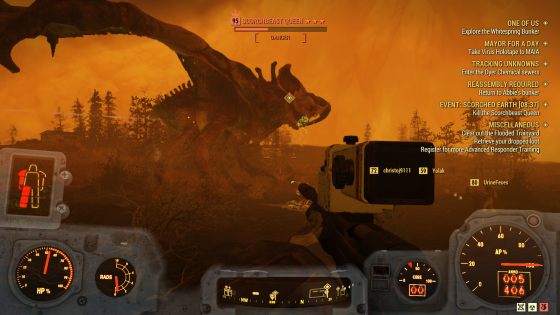 Once you get to the endgame, it’s all about dropping some nukes and killing Scorched Beasts. You must collect 8 pieces, decrypt the code, clear one of three silos full of robots, and then select where on the map will your bomb hit, spawning temporary new enemies and resources in the blast zone. This is probably the only moment where you’ll need some help from other players, who will show up to the party to earn some exp and get the best loot. If you rather kill other players, you can always tune in for the Hunter/Hunted radio, a consent PvP mode that plays like a mini Battle Royale. 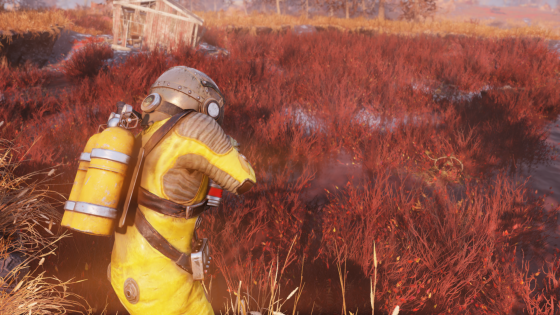 It's true that most of the gameplay mechanics are flawed in some way, that Bethesda is known for the bugs in its games, and that there's not enough content yet, but unless you rush it, Fallout 76 is (theoretically, if you’re lucky with those game breaking bugs) still a pretty decent game. Maybe it doesn't live up to the Fallout reputation, and we know how people react to new or experimental things, but with enough love, it could become one of those late bloomers. With more than a hundred hours put into the game, we're pretty much done with all the content so far, and let us say there aren't many reasons to grind the endgame. With an "infinite ____ glitch" for all you can imagine, there's really no point to invest so much effort; people can get infinite experience and levels, infinite inventory space so they can run and fast travel, infinite stash space (so no junk loss, and no penalty for dying), infinite grenades, infinite resources, infinite invisibility... and now you can also dupe items! Even if the damage is done, we can only dream of all the technical issues being fixed, and all the promised free DLC adding new reasons to keep playing and improving... else, this will be remembered as the most disastrous Fallout game ever. We finally have a multiplayer Fallout experience! There’s a lot of room for improvements. If you like this kind of looter shooter games, it’s very fun, actually. There are a lot of silly bugs, and some game breaking bugs. It desperately needs more, harder content. The story is kind of good, but it doesn’t feel like a classic Fallout game. So far, every update breaks more things than it fixes. Aside of multiplayer, the online part of the game feels like a gimmick. If you ask us, Fallout 76 is ten times better when you play with friends, but sometimes you’ll feel like playing alone, building your base or just exploring West Virginia, discovering some creepy places and taking on tough enemies to complete a certain quest. Watch out for those cryptids! 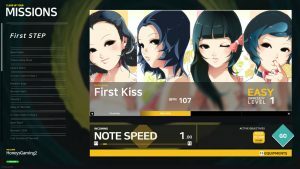 For what it’s worth, this is a game that some people will enjoy, but it definitely needs a lot of urgent fixes in order to stay attractive. Of course it’s not the best Fallout game by any means, but if you can take a spin-off where online gameplay doesn’t mean killing everyone on sight, and where the story only makes sense once you dedicate your time to reading and listening (even if some main quests still feel unsatisfying), then Fallout 76 is worth the try. Bethesda promised us new updates every few weeks and so far they’re delivering, so maybe in a couple months we can truly experience what they had in mind. Too bad every update also brings more broken things!